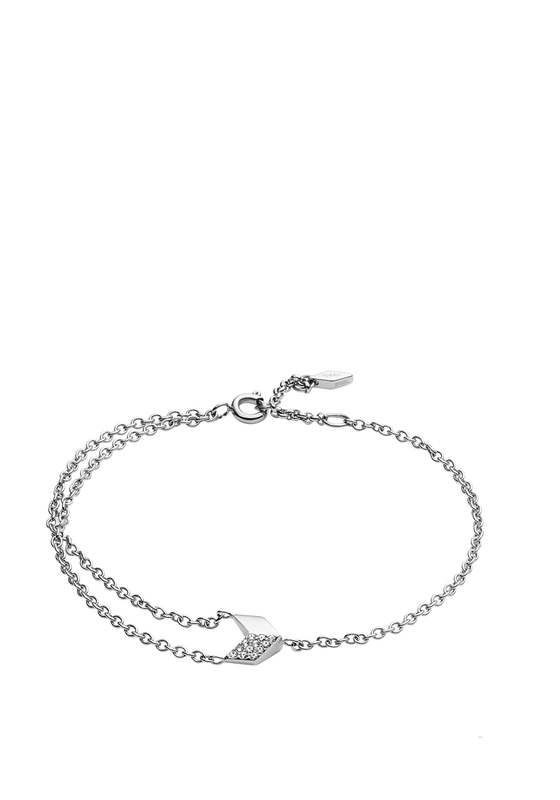 Add something different to your jewellery collection with this Fossil bracelet. Made up of three fine link chains joined together by a small crystal encrusted arrow like element. Featuring a fastening claw clasp for maximum security.